At Mangoho we see the main business mobility drivers being improved customer service, better collaboration, and increased flexibility and productivity. There is no doubt now that, in addition to the consumer, the mobile workforce has played a major part in the smart device revolution. The answer to why is simple. Smart devices are convenient and work anywhere at any time and are transforming the way we do business and support our workforce. The revolution has been well and truly been won and today the smart phone is very much a mainstream tool in the workforce. Having said that, there never really was any revolution for smart phones and consumer adoption, as they were always so convenient for them. But the problem of business adoption has been very real as the software suppliers struggled to keep up with the demand for powerful, yet easy to use, business apps. However, one company has very much been at the forefront of providing mobile apps for business users, especially the SMBs, and that company is Zoho Corp. The Zoho Invoice mobile app is a complement to the full online Zoho Invoice application, and amazingly can be downloaded for free AND you can send an infinite number of invoices to up to five customers. Companies that have more customers can subscribe to the Zoho Invoice Standard or Professional plan. With Zoho Invoice mobile you can invoice, send payment reminders and accept payments from your customers, including credit card payments. You can also send quotes, Record and time for projects, manage expenses, projects, accept credit card and send thank you letters to clients. Zoho CRM, the highly successful online Customer Relationship Management application designed for SMBs is fully integrated with the Zoho Reports Business Intelligence (BI) and provides superb advanced analytics. With information being synchronized with Zoho Reports from the accounts, activities, contacts, cases, leads, opportunities, and users’ Zoho CRM modules companies can easily review and manage their sales key performance indicators and their daily and monthly sales operating control reports. 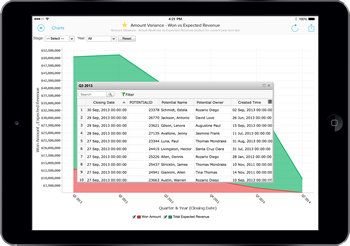 All of this BI information is also available on the iPad for the mobile sales workforce, sales managers and stakeholders. And what that means is that sales reports, sales charts and sales dashboards can be shared and distributed with all of them for better and more informed business decision making. 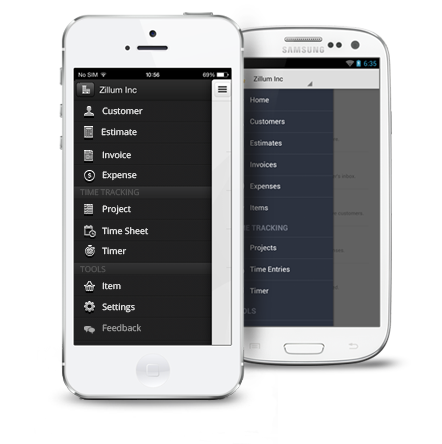 And with Zoho CRM also having a mobile app. what that also means is that sales and account managers are where they should be in many industries and that is on the road meeting prospective and current customers. Everything that the sales workforce needs to do their jobs including calendaring, setting appointments, updating contact and task information, forecasting and BI reporting are readily available at any time, online. Zoho Projects provides an outstanding collaboration and project management application solution that allows teams to plan, manage and collaborate project activities. 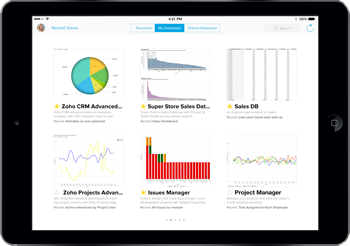 The online project management app is also fully integrated with the Zoho Reports Business Intelligence (BI) and provides superb project management advanced analytics. And again, with Zoho Projects also having a mobile app., what that also means is that project staff and managers are where they should be in many industries and that is on site managing projects and customers’ staff. Everything that the project workforce needs to do their jobs including creating, updating, managing and closing project tasks, logging project time, uploading project documents and viewing project feeds are readily available at any time, online. The mobile versions of Zoho Invoice, Zoho CRM and Zoho Projects and the related advanced analytics excellently demonstrate the needs of the mobile workforce and Zoho’s determination to provide solutions and benefits for the SMB community. Furthermore, all Zoho apps are Cloud based, SaaS delivered, applications which means that SMBs do not have to invest in purchasing and maintaining new hardware and software. And that also extends to smart phones as many employees have at least one smart phone and possibly even a tablet. For sure there are solid benefits for the mobile workforce using Zoho developed mobile applications, there are, of course, a few challenges still to face. In some countries, and also moving between countries, mobility can generate hefty mobile phone usage and bills, present some challenges of critical company data residing mobile devices and the encryption of data moving between mobile device and servers, and also, and, very interestingly, raise “way of life” issues when employees are obligated to work on company business in their free time. But even these challenges, when properly attended to, are not significant especially when SMBs review the flip side by having everything cloud based, easily available on mobile devices providing a more flexible and productive way of working. Mobile apps from Zoho for SMBs have provided the companies features and functions that previous only larger companies could afford to develop and support. Just download them from the Apple Appstore or Google Play. 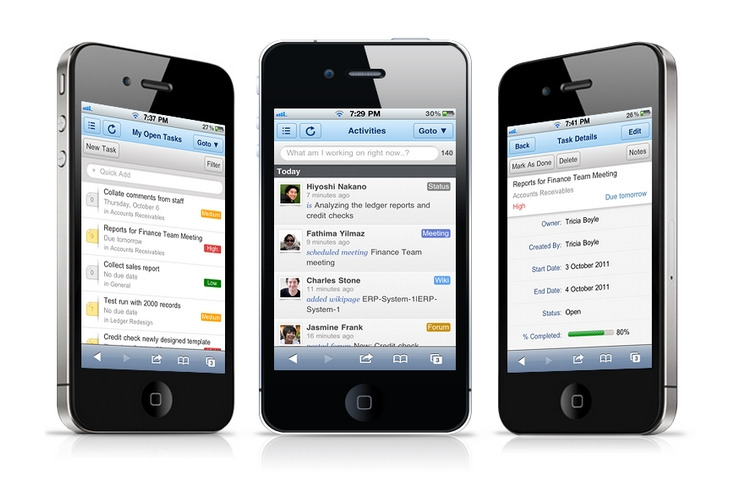 Zoho understands mobility adoption continues grow and that the mobile workforce continues to demand more capabilities. We believe that Zoho will continue to develop new mobile apps, whilst upgrading existing ones, so that SMBs can run similar, and in many cases, better mobile apps, than their larger counterparts. Please contact Mangoho here for more details of Zoho online business tolls and Zoho mobile apps.